A delegation of representatives from South African governmental organisations has participated in a four-day study visit on the subject of satellite navigation (Galileo and EGNOS) in Madrid (Spain) and Toulouse (France). The visit was attended by five representatives from the Department of Science and Technology (DST), South African National Space Agency (SANSA), Air Traffic Navigation Services (ATNS), South African Civil Aviation Authority (SACAA) and Square Kilometre Array (SKA) . The format of the visit allowed the South African delegation to have an insight of the various aspects of both EGNOS and Galileo, meet the main institutional and industrial players involved, and have hands-on experience on part of the EGNSS infrastructure. The agenda included visit to the Galileo Service Centre, the EGNOS Master Control Centre and EGNOS Applications Specific Qualification Facility (ASQF) managed by the European Satellite Services Provider (ESSP), the French space agency (CNES) and meetings with industry involved in the development of the system as well as of downstream applications. 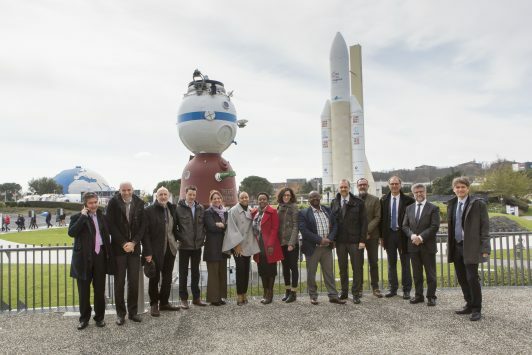 The visit was supported by the European Commission, the European GNSS Agency (GSA), ESSP, the Spanish Ministry of Transport, ENAIRE (Spanish air navigation manager), CNES, Cité de l’Espace, ASD-Eurospace and FDC.